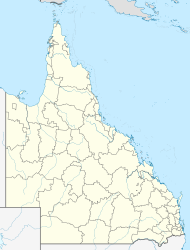 Eerwah Vale is a locality split between the Sunshine Coast Region and Shire of Noosa, both in Queensland, Australia. At the 2011 Australian Census the suburb recorded a population of 527. Part of the northern boundary is marked by the North Maroochy River. The Bruce Highway passes through the east of Eerwah Vale. Mount Eerwah is centrally located and protected within the Mount Eerwah Conservation Park. The name “Eerwah” is an indigenous word meaning "death adder". The area was known to be occupied by a number of indigenous tribes but predominately the area associated with the Kabi Kabi, Nalbo, Dallambara and Undanbi tribes. Before white settlement, the Eerwah Valley was covered in dense rainforest containing the prized red cedar, oak, box, turpentine, blackbutt, flooded gum, toolun and, of course, bunya pines or “Bonyi”. The bunya was and still is valued both as a food source and millable timber and was the focal point for the “Bonyi Gatherings” held every three years in the Baroon Pocket area, near Maleny. The first Europeans to stumble into the area were ticket-of-leave men and escaped convicts from the Penal Settlement at Moreton Bay. One convict, named David Bracefield lived with the Kabi Kabi tribe and was given the name "Wandi". Bracefield was later adopted by Ngumundi, an indigenous warrior and chieftain of the Kabi Kabi tribe whose name was later used to name the town of Eumundi. It is unknown whether the timber-getters or cattlemen first occupied the North Maroochy District but in about 1853, the Skyring Brothers applied for some of the first cattle runs in this area to be called Whidlka Whidlka (in the Tuchekoi area), Canando (in the Ninderry area), Pooreema (in the Pomona area) and Yandina (Yandina), the common boundaries of these runs appear to meet in the Eerwah Vale area. By 1858, the Skyrings had allowed their tenure on these runs to lapse and they were taken over by John Delaney Bergin. Daniel Skyring later purchased land in what is still known today as Skyrings Creek. Joseph Gridley was the first European to select land in the Eumundi district (Portion 45) which was taken up in 1873, being part of the land upon which the town of Eumundi stands today. In 1882, land in the Mount Eerwah area was opened up for closer settlement and in particular, Edward H. Arundell (Portion 122), Thomas J. Ball (Portion 120) and Edward T. Trundell (Portion 119) took up neighbouring selections. Shortly after this, the area became known as "Main Camp". It is proposed that Powerlink’s Cooroy South Sub-Station be constructed on part of Trundell’s original Portion 119 in Neeraway Road, Eumundi, now owned by H.C. Gray. Between 1890 and 1891, there was an influx of railway workers, engaged to construct a section of the North Coast railway line between Yandina and Cooran, and this saw the Main Camp area flourish. The workers’ families soon followed and Arundell’s Store (constructed on part of Portion 122 ) came into commission as the first Mount Eerwah Provisional School No. 619 in November, 1890. This school was only temporary and closed at the end of 1891 after the railway workers had completed this section of the railway line and the work gangs moved on. Christian Anderson set up a cordial factory at Main Camp during this time. Closer settlement of the area today known as the township of Eumundi together with its proximity to the newly completed railway line saw the town settlement move from Main Camp to the newly established Eumundi. Initially the name proposed for the new township was “Eerwah” but this was too similar to "Beerwah" (an existing railway station nearer Brisbane) so the alternative name "Eumundi" was chosen. Other original selectors in the Eerwah Vale valley circa 1882 were Henry G. Bennett (Portion 117), Samuel Kaye (Portion 124), Edward G. Gross (Portion 130) and Robert Pettigrew (Portion 133). In 1899, Portion 133 was sold to William Dellit who called it "the Jarrah Block". This was sold in 1907 to John McDaniell who formed the Jarrah Timber Company. In all there were three schools that took the name "Eerwah". Firstly, the one at Main Camp mentioned above. Secondly, Mount Eerwah State School No. 1399 (22 July 1913 to 31 May 1917) situated on the Kenilworth-Eumundi Road (opposite Ceylon Road) on land donated by J. McDaniell. This proximity was known as "Koojarewon" but a State School of a similar name existed at Highfields, near Toowoomba, so it reverted to Mount Eerwah. This school building was later relocated by the William Dellit’s bullock team in about 1918 to form the Brown’s Creek Provisional School. Thirdly, Eerwah Vale Provisional State School No. 1819 commenced on 13 June 1925 and was initially conducted in the Eerwah Vale Community Hall located on the eastern corner of Eumundi-Kenilworth and Browns Creek Roads, which land was donated by R.E. Morris. In January, 1932, a new building was opened to house the State School, situated east of the existing Hall on the opposite side of the road, on land donated by A.E. Cook. Once the large timbers were cut from the hillsides and the valley, this made way for dairies and small crops farming. Larger portions of land were subdivided and local street names reveal the identity of some of the settlers in the Eerwah district with names like Chambers (1901), Wilson (1908), Strong (1954), Larney (1934), Pearce (1927), Anderson (1910 and 1919) and closer to Belli, Jorgensen (1956). Two short-term commercial ventures were located in the Mineshaft Road area the first of which was the Backhousia Citriodora Distillery on part of A.E. Cook’s property (now Mitchell’s) which produced oil for perfume making until it ceased in the 1920s due to diminishing supplies of this precious tree. Also gold mining was carried on for a short time. Around 1911, a large number of unmarried Hindus men came to the area. Some purchased land on the steeper slopes around the Eerwah Valley, clearing the remaining vine scrub and cutting the standing timber. This land was then burnt, corn and pumpkins planted, and later cultivated with grass seeds (rhodes grass and paspalum) to provide pasture for cattle raising. Most of the Hindus had left the area by 1925 though the Laboo Family (Portion 421) stayed until the 1950s. Failure of the Banana plantations in Fiji in the 1920s and 1930s saw the Banana Blocks established in Mineshaft Road (Horton, Parker and Peachey), Anderson’s Road (Plath, Henchey and Nolan), Coleus Road (Lait, Hayworth and Clayton) and Mount Eerwah Road (Wilkins and Jones). Of all the Hindus who settled in the area, only one by the name of Boogah was engaged in banana growing and this was on Ron Lait’s property which could also be accessed from Wilson’s Lane. Commercial pineapple plantations were established by the Jorgensen Family in Jorgensen’s Road in the 1950s and by the King Family in Mineshaft Road on Portions 546, 547 and 548. Power transmission lines were constructed in the area in about 1954 but power was not made available for connection to residences until 1957. Tourist Route 22 (Eumundi-Kenilworth Road) was and still is the shortest route from Kenilworth to the railway station at Eumundi. In the early days, it was not unusual for livestock including pigs and cattle to be driven along this road. Today, there is only one dairy farm left in the area following deregulation of the industry with some of the larger blocks of land still supporting cattle grazing and plantation/small crops (i.e. : avocado, ginger, zucchini). Eerwah Vale’s close proximity to Noosa has seen more subdivision with life-style blocks and Bed and breakfasts established in the area. ^ a b Australian Bureau of Statistics (31 October 2012). "Eerwah Vale (State Suburb)". 2011 Census QuickStats. Retrieved 5 October 2014. ^ "Eerwah Vale - locality in Sunshine Coast Region (entry 49235)". Queensland Place Names. Queensland Government. Retrieved 3 July 2017. ^ "Eerwah Vale - locality in Shire of Noosa (entry 48619)". Queensland Place Names. Queensland Government. Retrieved 3 July 2017. This page was last edited on 28 October 2017, at 17:39 (UTC).